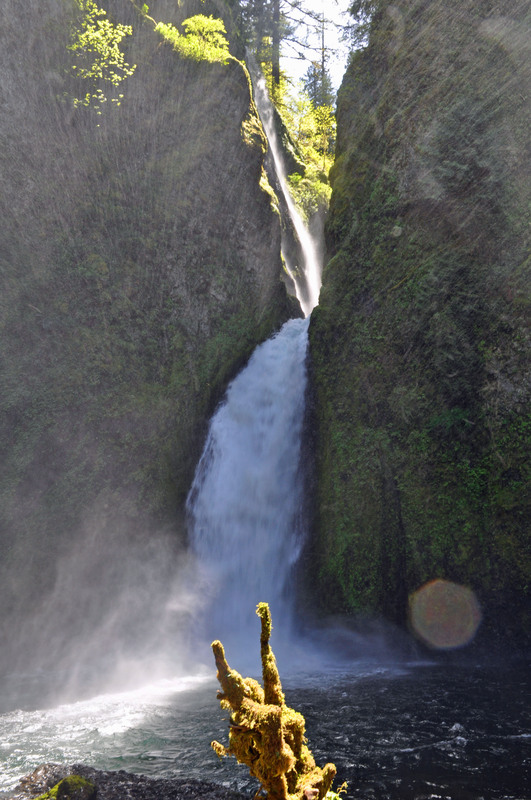 Along the Columbia Gorge, past the well-traveled Multnomah Falls, is another beautiful fall — or rather set of falls — called Wahclella Falls. 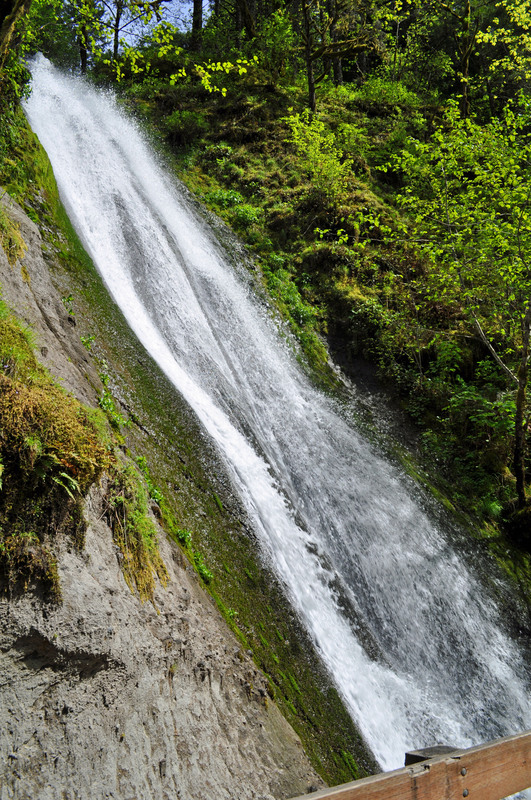 Depending on the time of year, the falls include either two or three drops to Tanner Creek, which eventually leads to the Columbia. The very top falls — a third, seasonal tier that is sometimes called the East Fork Falls — can be hard to see or photograph. You have to know to look for it while on the lower level trail. 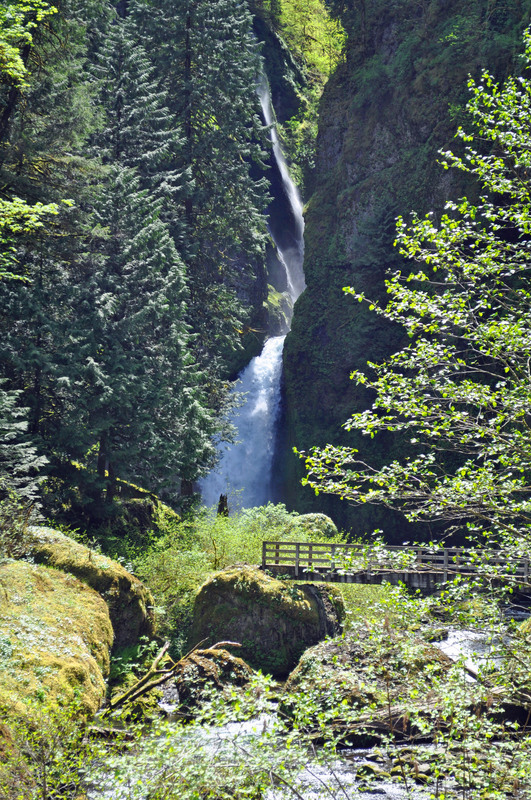 The hike to Wahclella Falls is short, clocking in at only a mile one way. The trail is not as flat as a lot of write-ups about the hike would have you believe, though. 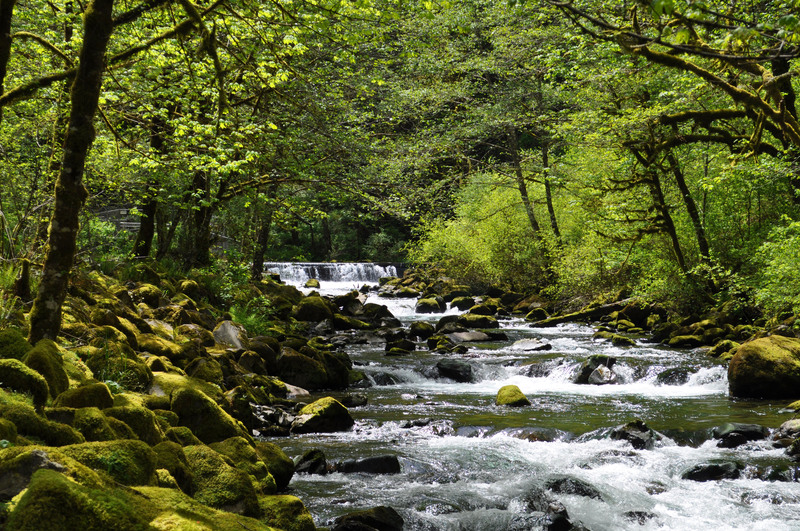 It can be steep and narrow in places with drop offs straight to the creek. 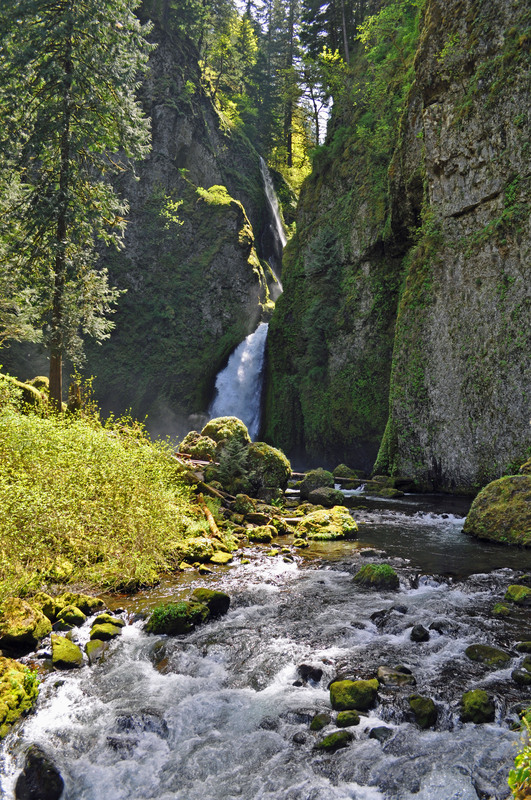 Regardless, the falls, which were named in 1915 after a nearby Native American village by the Mazama mountaineering club, are well worth the hike. 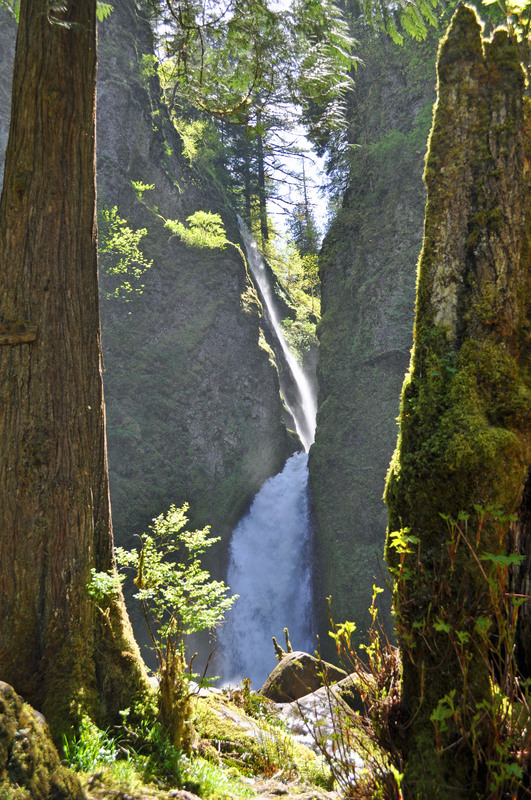 Munra Falls — found on the trail on the way to Wahclella Falls. 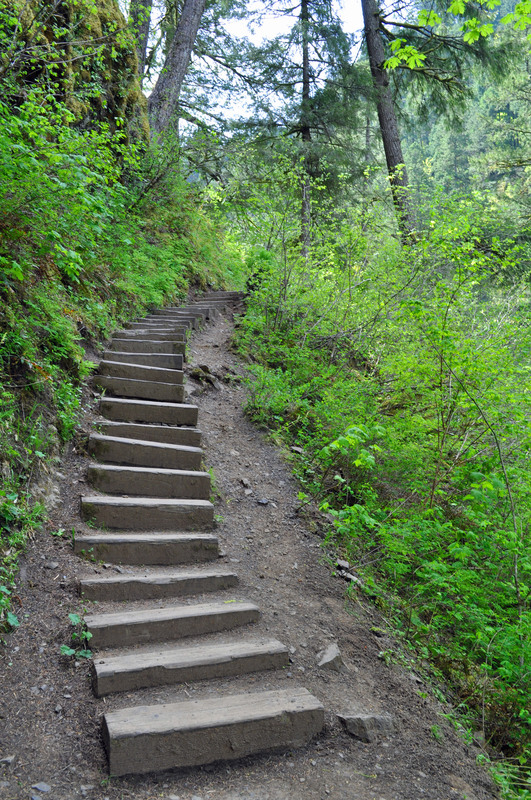 Stairway along the “flat” trail leading to Wahclella Falls. Distant view of the falls, where you can see the lower two drops. 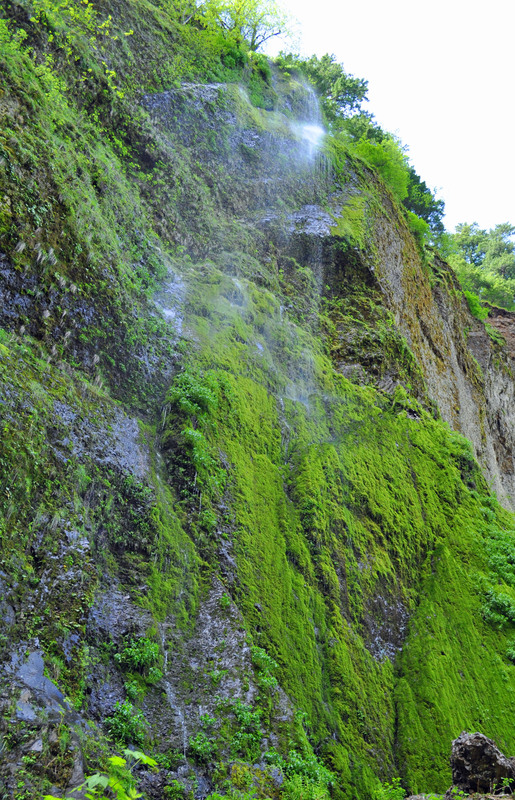 Random, hard-to-see, wispy stream of water fall found along the wall of the canyon leading to the falls. And even closer … it’s hard to get a great picture this close because so much water sprays off the falls that quickly clouds the camera lens. 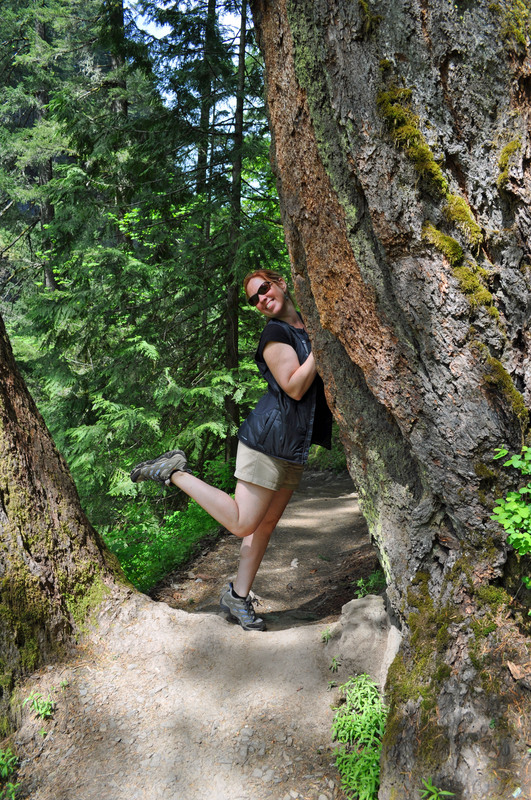 My friend Michelle, who braved the hike with me. She was happy to commune with nature.